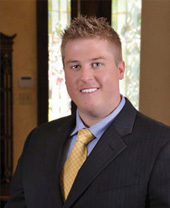 Adam earned his Master’s Degree in Business Administration from Texas State University. In over 10 years of experience, he has managed projects in Texas, Arkansas, New Mexico, Oklahoma, Kansas, Wyoming, Mississippi, Colorado, North Dakota, Nebraska, Illinois, Indiana, Utah, Pennsylvania, West Virginia, Ohio and Louisiana. These projects include lease acquisition, title, due diligence, regulatory body negotiation, federal/state/municipal bidding and auctions, mineral/royalty acquisition, ROW acquisition, A&D and management of producing properties. Adam oversees all of Eagle’s projects throughout the country and has managed individual project teams with as many as 250 landmen in both rural and urban environments. He is a member of the AAPL, the FWAPL and the HAPL, and is a Certified Professional Landman.